Carol King is a multi disciplined designer with 15 years of creative design, art direction, and web/ux design experience for globally recognized clients. 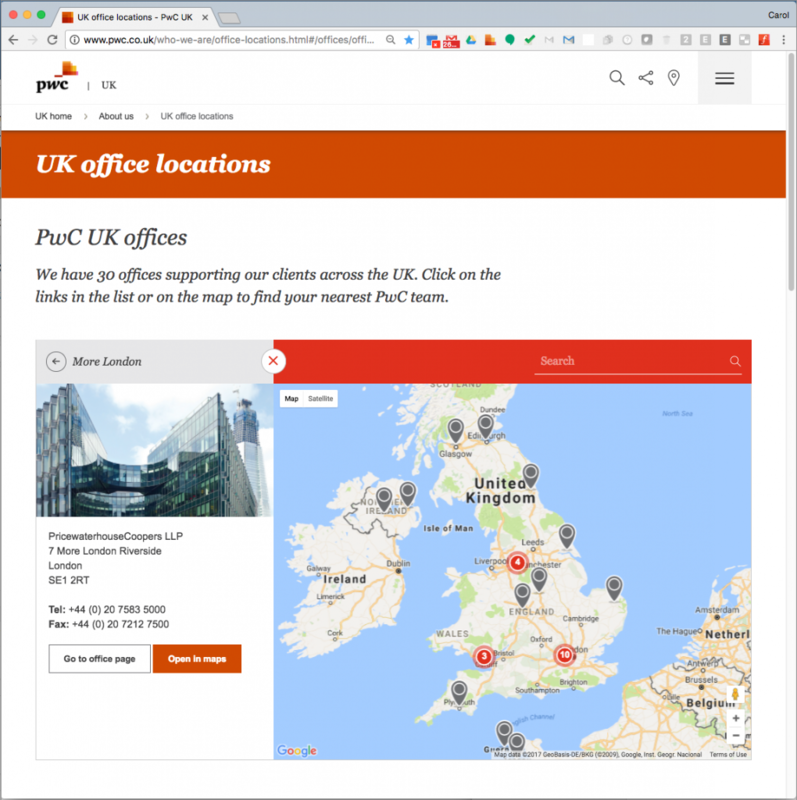 I was involved in the redesign of PwC’s office locator page, which is currently being redesigned and rebuilt within the company’s new content management system. © 2019 Carol King design All Rights Reserved.